You must submit a brief One Act synopsis that includes a brief statement clarifying any asterisks (less than 150 words, please) to district5thespians@gmail.com before October 15th Please see some examples here. All set pieces must be returned to the designated box before the end of your 40 minute performance time. OCPS schools must follow all OCPS guidelines for performances at District. If you have questions or concerns, please contact Laura Copenhaver at laura.copenhaver@ocps.net. · Under the Performance section in the “One Act Event – General Rules,” Rule 16 states: “If it is necessary to use a fly system, the sponsor must include a letter with the registration packet stating the specific reason for using this system and how it is intended to be used.” Risk Management and Safety ask that, if such a request is received, the One Act Manager/Coordinator will discuss with Risk Management and Safety before a decision is made to grant approval. 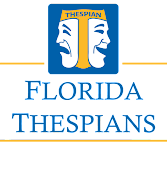 · While on site at the District V Thespian Festival, OCPS Safety Inspectors have the authority to bring to the attention of the One Act Manager/Coordinator any troupe whose set/props do not comply with SD0024 or whose set should have been inspected by a structural engineer but no report was submitted. The One Act Manager/Coordinator will decide if the violation will result in disqualification. · OCPS Safety Inspectors request that free and clear fire access occur during the festival as troupes move sets and transition between acts. · We are requiring this year that the sponsoring organization of this event enter a Facilities Use request for the use of Dr. Phillips HS, and that a Certificate of Insurance be provided, meeting the requirements as stated in the Facilities Use Agreement. The agreement will need to be signed either by a representative of the state or national organization. · We ask that a complete first aid kit be on site at the venue and that any injuries during the festival be reported to OCPS Risk Management.